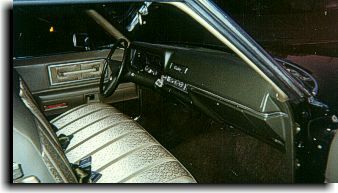 This interior was a special challenge for Catalina Custom to construct. 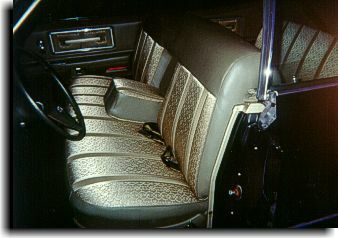 The original gold colored body cloth was not available. 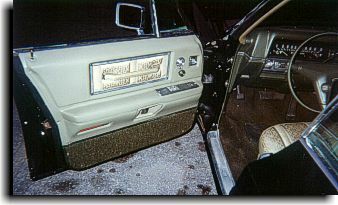 There was available an original green/gold body cloth and matching original vinyl. 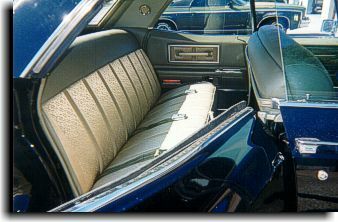 With the Cadillac having a neutral black outside color, we felt we had the option to change the interior color from one original color to another and still meet the customer's wishes on a new interior done as original. 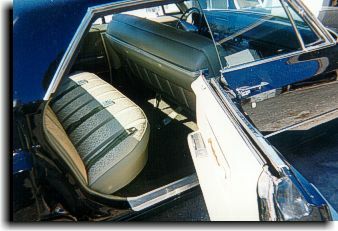 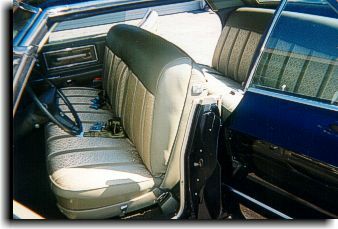 Catalina Custom did all repadding, fitting and sewing of seats and headliner as original. 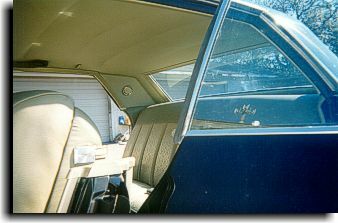 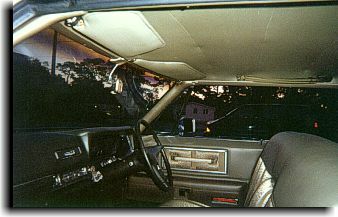 The molded door panels was damage repaired and dyed to match as was the molded dash and steering wheel.